It is a common practice in winter and maybe you’ve even done it several times. There is snow covering your car and ice has settled over your windshield. And it is very cold. So, you trudge outside, start up your car and go back in your house and wait for the car to defrost. Contrary to popular opinion, that isn’t what you should be doing. In fact, there are several mistakes people make with their cars during the winter. Here are a few. Letting your car idle while it warms up. Several minutes isn’t going to kill your car, obviously, but letting it run while you finish breakfast inside is can be bad for your engine – unless your model is one that was built before 1995. Most cars built before 1995 had a carburetor, which combines air and fuel. With those cars, it was a good idea to let the car warm up for a while, as it helped your odds of the engine running properly once you started driving. But when car dealers began making engines with a fuel injection system, the idling became unnecessary. In fact, it’s more than simply not necessary. Idling your car for that long during the cold winter months can hurt your car. Popular Mechanics explains this process in a recent article. “When your engine is cold, the gasoline is less likely to evaporate and create the correct ratio of air and vaporized fuel for combustion. Engines with electronic fuel injection have sensors that compensate for the cold by pumping more gasoline into the mixture. The engine continues to run rich in this way until it heats up to about 40 degrees Fahrenheit.” It basically says car owners are putting extra fuel into the combustion chamber and it doesn’t need to be there. More to the point, the oil can become stripped away from the engine’s cylinders and pistons. We at Milex Complete Auto Care are happy to check your engine if something has gone wrong. We hope you’ll drop by and say hello and get your oil changed. We’re happy to help you with any of your car needs, and we want to make sure you don’t experience car problems that could have been prevented. With that being said, if it extremely cold outside, there’s no need to jump in your car and race onto the road. It won’t hurt your car to keep it running while you scrape off your windshield or sit in the car for a couple minutes and get your bearings. But the best and fastest way for your car to warm up is to start driving it. 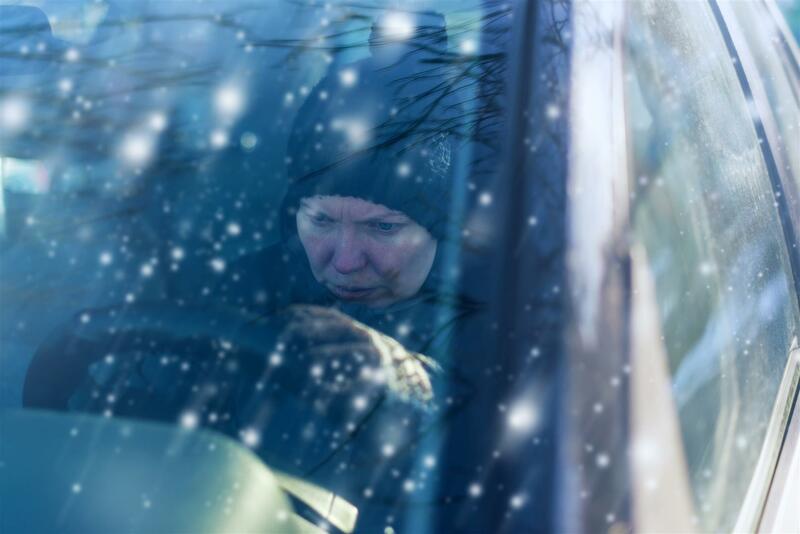 Make sure the windshield, mirrors, side windows are clear before you go. Leaving your car where it could easily be stolen. In some areas this is a very real concern. Due to this threat, some states, like Ohio, and in some cities, like Buffalo, New York, Police will ticket you if they find your car idling and unattended. Having bad windshield wipers when you need them. After you have cleared the snow and ice off your car, you want to make sure your windshield wipers work properly. After scraping off the snow, ice or frost, most people will clear the rest with their wipers. These conditions can take a toll on our wipers and cause them to wear prematurely, rip and crack. Check your wipers frequently to make sure they are in good condition and not ineffective the next time you need them. Take a few minutes to take the proper precautions to ensure you and your car will be safe in the winter weather this year.